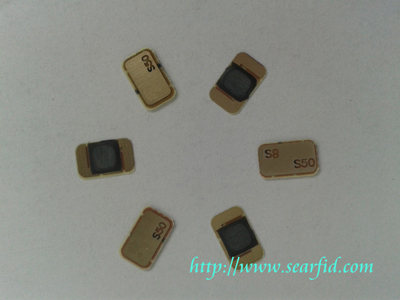 's IC S50 chip ( referred to as M1), a non- contact smart card chip in the vanguard, the operating frequency of 13.56MHz, and have the ability to read and write. Is the industry's first one can put ISO contactless smart card chip,with ultra-small coil also provides the ability to mass production. At present, the use of global IC S50 chip over two hundred million, with a contactless smart card market share of more than 85%. IC S50 has a high stability and a wide range of applications for a variety of manufacturing special tags and smart cards,is the business card, pre-paid water meters, bus card, highway fees, parking lot, residential area management, transportation cards, park tickets, highways and other preferred RFID products. FM11RF08 chip (referred to as domestic M1), is developed by Shanghai Fudan Microelectronics Company first RFID chip products, is compatible with IC S50 chip.FM11RF08 chip quality, for many years to occupy a dominant market position. With stable performance, low rate of bad, low cost and other advantages. 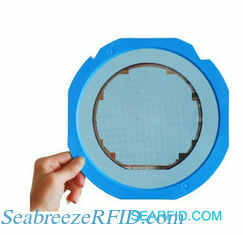 SeabreezeRFID Company supplies all kinds of non-contact RFID chips, contact chip and CPU card chip, low prices, stable quality, timely delivery.